A friend of mine, who was in Iran recently, confirmed what Persians around the world already knew. During his trip, he visited more than a dozen mosques in several cities over the course of 10 days. Some of these visits were on one of two Fridays, which is the holy day of Shi’a Islam, when you would expect to find the most people in the mosques. It is equivalent to Sunday mornings in America. With the call to prayer sounding over the speakers throughout the cities, my friend witnessed a TOTAL of 2 people worshipping in the mosques! This is a cumulative total over the course of 10 days (2 of which were Fridays), in several cities, while the call to prayer was sounding! Does this sound like the Iran you have pictured in your mind? 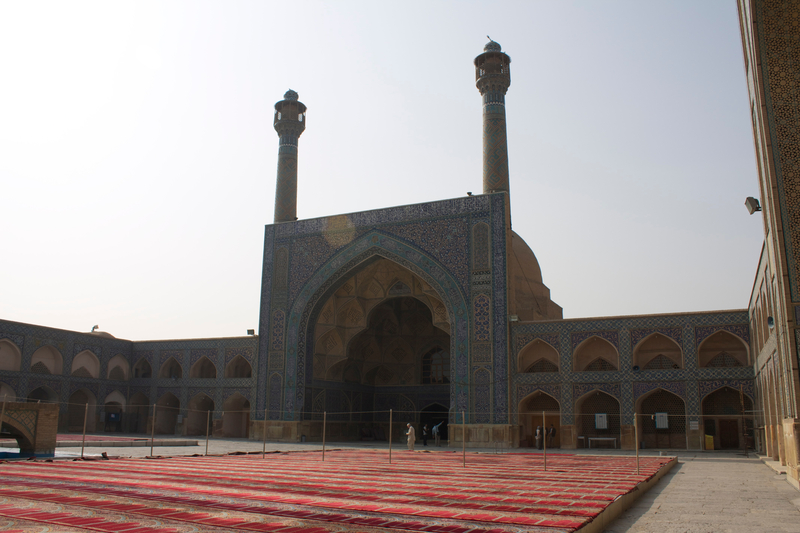 My friend, who recently traveled to Iran and took the photo of the empty mosque in my previous post, was also blown away by the overwhelming warm reception he received from the people of Iran. Even though I told him to expect the people he would meet to be intrigued by an American visiting Iran, he was not prepared for the welcome he received in every city he toured. What is portrayed in the media is quite different than the reality of what exists inside the borders of one of the least understood countries in the world. I want to be clear, however. The Islamic controlled government and clergy are indeed extremely dangerous, violent and hateful people who in fact do not love America, Americans or anyone who does not identify themselves with Islam. This group represents only a fraction of the population. Unfortunately, it is the only segment we ever see in the West. As we read Luke’s account of the Day of Pentecost in Acts 2, something amazing occurs, which may not jump off the page to you at first. As the Holy Spirit descends on the Apostles and their followers, giving them the ability to speak in each other’s languages, the multitude around them was bewildered by what they were witnessing. Recognizing that these men were from various regions, each with it’s own language, they were amazed to hear them speaking to each other in their non-native language. Luke goes on to record their astonishment by quoting the list of nations present. Notice the first three mentioned; Parthians and Medes and Elamites. 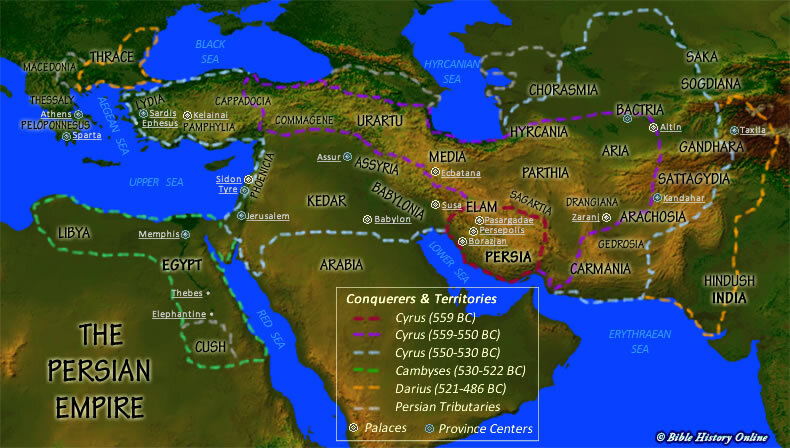 All of these are people groups were from Persia…known today as Iran! Actually, Iran has a significant presence in Scripture, which I will unpack in future posts. This is a startling statistic, which is changing the face of Iran and has the potential to impact the entire Middle East. Let me explain. When I was a young college graduate, living in Iran during the Islamic Revolution of 1979, I was part of a generation that was demanding change. At the time, we did not know that we were exchanging something we perceived as bad, for something much, much worse than we could ever have imagined. Today, only 30% of Iran’s surviving population was even alive at that time. The overwhelming majority of the population knows nothing but the incredible persecution and oppression that they have experienced under a government that they never asked for and certainly do not want. Perhaps this helps to shed some light on fact #5, The Mosques Are Empty. The younger generation has seen only a lifetime of misery and hopelessness, while the older generation has seen broken promises and a system that has failed them completely. As a result of this youthful demographic, Iran has established itself as a top consumer and producer of social media in the Middle East, despite the fact that the government attempts to restrict Internet access and intimidate people from engaging with Facebook, Twitter, personal blogs and other forms of Social Media. However, as with all younger generations, Iran’s youth possesses technological savvy and continues to stay ahead of the government’s attempts to stem the tide. 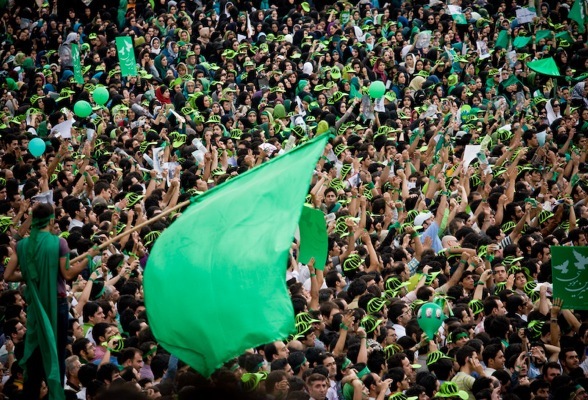 You need only look at the Green Movement of 2009, when tens of thousands of young Iranians flooded the streets of Tehran to protest the presidential election results. The horrific shooting death of Nedā Āghā-Soltān was captured on a cell phone, uploaded to the Internet and viral within hours. 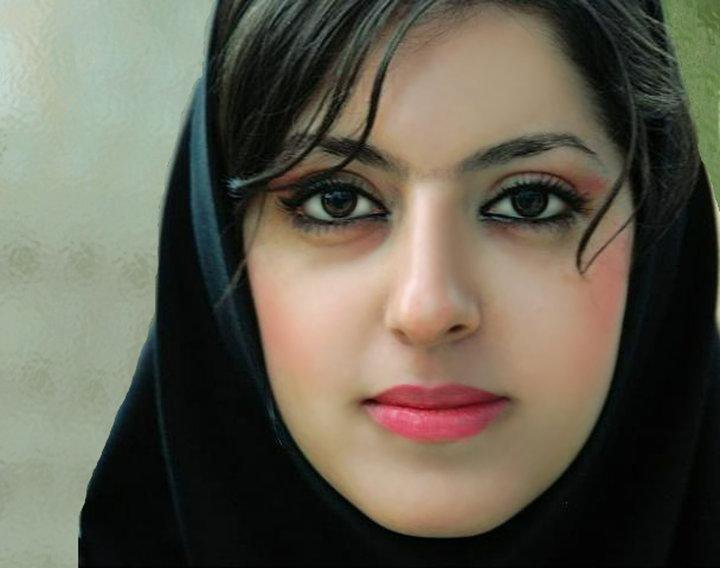 Pray for the youth of Iran, as they are the key to reaching the country for Christ. Iran has the Fastest Growing Evangelical Population on the Planet! Iran has the fastest growing Evangelical Christian population. Operation World, 2010. Iran…the world’s only theocracy and home to such infamous leaders as Mahmoud Ahmadinejad, Ali Hosseini Khamenei and the late Ayatollah Khomeini, who ushered in the brutal Islamic regime in the revolution of 1979…the same country whose government counts such countries as Lebanon, Venezuela and Syria, China and Russia as friends…the same nation that has labeled the United States as the Great Satan and Israel the Little Satan and is among the most public anti-Semitic, anti-Christian and anti-women’s rights nations in the world…this Iran, has the fastest growing Evangelical population in the world! You may be thinking to yourself, “Well, if the Evangelical population has grown from 10 to 1,000 people, that explains rapid growth, but it is a bit underwhelming.” Actually, conservative estimates place the Evangelical population of Iran around 1,000,000! Compare that with the estimated 500 Christians that were believed to exist in Iran in 1979 when the Islamic Revolution took place. The fact is, more Persians have come to Christ in the 34 years since the Islamic Revolution than in the 1,400 years prior, combined. Most of these have occurred in just the past decade, as satellite TV has become a pervasive tool for safely and effectively taking the Gospel into the homes of the 55 million Persians who have access to satellite dishes. It is for this reason that I have spent the past 11 years devoting my ministry efforts into satellite TV programming and launched a 24/7 Farsi network with the objective of taking the message of Hope into the homes of these millions of hopeless and desperate people. You can see in the chart below, taken from the research of Operation World, that the highlighted countries are Farsi speaking nations, which our satellite TV signal reaches with 24/7 Christ-centered programming. I like to tell people that God is running a special on Muslims right now. There has never been a more exciting or fruitful time to be about the business of Kingdom building in Iran than Right Now! 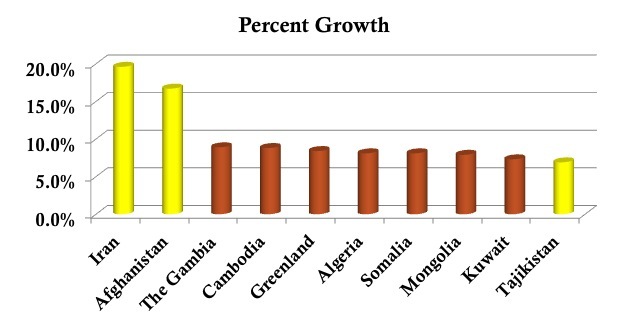 Chart courtesy of: Jason Mandryk, Operation World: The Definitive Prayer Guide to Every Nation (Colorado Springs, CO: Biblica Publishing, 2010), 916.